For decades, the world’s banking system has been on a fiat currency standard that has led to banks that are “too big to fail”. They have overreached their remit of providing loans and have leeched into the political system, using our money to change the political agenda in ways that boost bank management’s compensation over the interests of their depositors. Over the past 11 years, the Gata (Gold Anti-Trust Action) committee has worked to reveal the silver/gold price suppression scheme; thanks to whistleblower Andrew Maguire in London, an investigation has been opened. 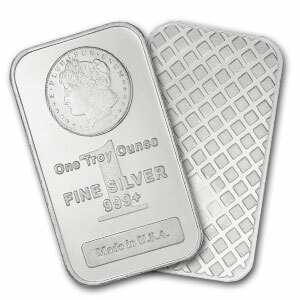 As part of the ongoing exposé, it has now become clear that JP Morgan is sitting on what is estimated to be 3.3bn ounce “short” position in silver (which they have sold short, meaning they don’t own it to begin with) in an attempt to keep the price artificially low in order to keep the relative appeal of the dollar and other fiat currencies high. The potential liability for JP Morgan has been an open secret for a few years. On my show, Keiser Report, I recently invited Michael Krieger, a regular contributor of Zero Hedge (the WikiLeaks of finance). We posited that if 5% of the world’s population each bought a one-ounce coin of silver, JP Morgan would be forced to cover their shorts – an estimated $1.5tn liability – against their market capital of $150bn, and the company would therefore go bankrupt. A few days later, I suggested on the Alex Jones show that he launch a “Google bomb” with the key phrase “crash jp morgan buy silver”. Within a couple of hours, it went viral and hundreds of videos have been made to support the campaign.